World map of airline routes. Each airline route is represented by a line on the map. 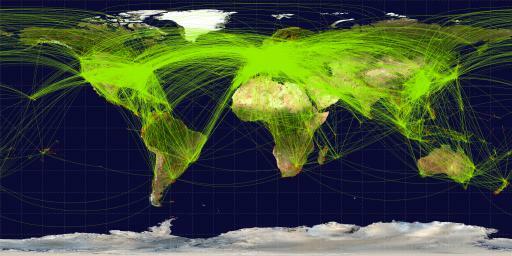 Over 58,000 airline routes are represented on the map.